With the launch of Samsung A2 Core, it is confirmed that the South Korean technology giant is taking over the entry-level smartphone market after being absent from it for a long time. The Samsung A2 Core is the successor of the Samsung J2 Core that was launched back in 2018. The Galaxy A2 Core comes with a good set specifications considering its price of Rs 5,290. For its price, it offers a qHD display (960 x 540 pixels) and is powered by Samsung’s Exynos 7870 SoC. Some of the similar devices come with a similar price tag but they feature Android 8 Oreo (Go Edition). However, Galaxy A2 Core from Samsung comes with Android 9 Pie (Go Edition). Also, it comes with 1GB RAM and 16GB of internal storage compared to its closest rival, the Xiaomi Redmi Go which has 1GB of RAM and 8GB of storage. For the price it is being offered, the Samsung Galaxy A2 Core has only one worthy competitor, the Xiaomi Redmi Go. 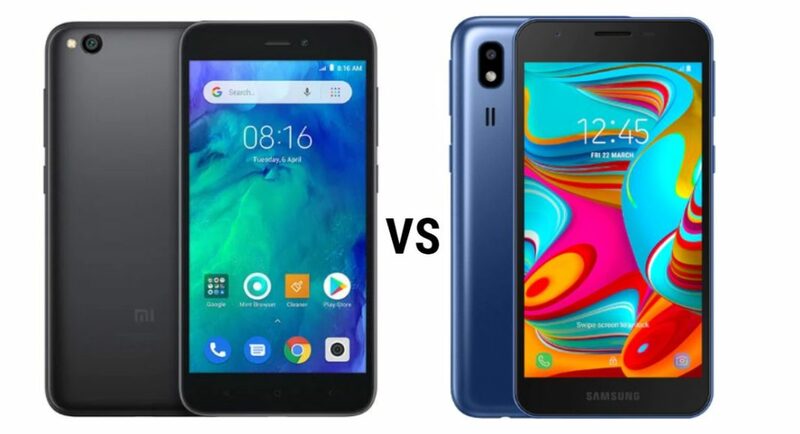 And seeing the rivalry between the South Korean technology giant and the Chinese smartphone maker, we are pitting them against each other and to compare their details and specifications side by side so that you can see which one is a better buy. While both the smartphones are entry-level devices from Samsung and Xiaomi, there is a difference of around Rs 500 in their price. But we also see few changes in the specification and the features of the Xiaomi Redmi Go and the Samsung Galaxy A2 Core. In some aspects like CPU, GPU, price and the camera, Xiaomi wins, but in others like Android OS, RAM and Storage, and Display, Samsung Galaxy A2 Core wins. Both of these devices are a good buy for a first time Android user and the customer won’t feel as if he is cheated if he buys any of these devices. One should buy on the basis of what they think is important for them in a smartphone.